Revealing details on journeys to success, what it took to build companies, and turn a no into yes. 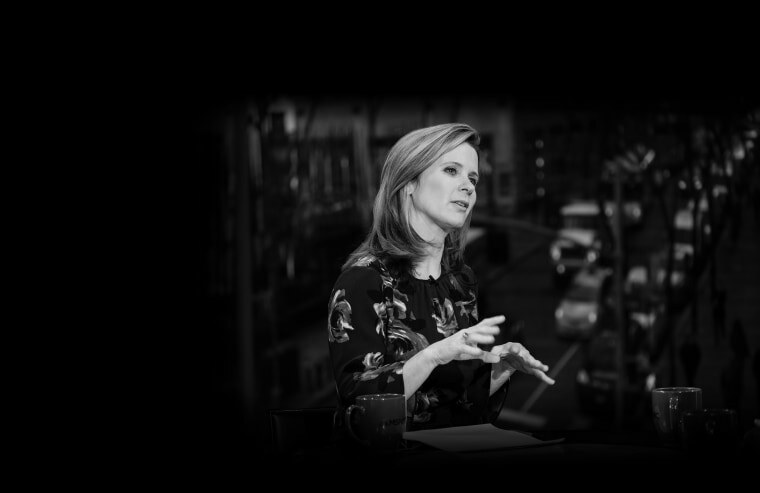 JJ Ramberg focuses on issues and opportunities for businesses across the United States. December 16, 2018: Are you still confused about tax reform and what it means for your business? You want to avoid any filing errors because they can have lasting consequences. CPA Gene Marks is the head of The Marks Group. August 31, 2018: Is it tough for you to take days off because running your business requires so much of your time and attention? Mike Michalowicz, CEO of Profit First Professionals, tells us how you can structure your company to run itself. He says if you do it right, you’ll be able to take a four-week vacation. December 16, 2018: If you’re a B2B business, what are some ways to create a top notch sales force? What ideas should you keep in mind? Let’s ask the expert. Jessica Johnson-Cope is the president of the Johnson Security Bureau. December 9, 2018: Every business owner wants shoppers to come to their website and buy something. Once they’ve done that, how do you keep them coming back? Amit Mathradas, the general manager and head of North American small business at PayPal, tells us about some e-commerce quick fixes to improve the customer experience. December 9, 2018: There is an art to asking for help. Some ways of requesting assistance are more effective than others. Psychologist Heidi Grant, the author of the book “Reinforcements,” shares this advice for getting people to say yes. December 9, 2018: How do you manage the conflicts that may come up if you’re working at a company that’s owned by family? Let’s ask the expert. Andrew T. Berlin is the chairman and CEO of Berlin Packaging. December 9, 2018: When California Baby founder Jessica Iclisoy launched her organic skincare line for kids in 1995, she had a single product. Now, two decades later, her business sells almost 100 products and is worth more than $250 million. We sat down with Jessica at her company’s Los Angeles headquarters where she shared her tips for bubbling to the top. December 9, 2018: Every fitness fan knows the name TRX. Former Navy seal Randy Hetrick is at the helm of this thriving brand, but the road to success has been complicated. Counterfeit and copycat TRX products have flooded the market, and Randy faced battles he had never imagined possible. December 2, 2018: Roger Lee Jarman never thought he'd be running his family's business, but 20 years after his father fired him, Roger is now back on the payroll. Roger Jarman was ready to hand off the company and had always secretly hoped his son would take over. He had mentally prepared himself for Atlantic Models to be sold until his son expressed an interest in running the business that makes model airplanes for companies like American, Southwest, UPS and FedEx. We look at how this family business is working together to ensure that sales take off. December 2, 2018: Manon DeFelice is the Founder and CEO of Inkwell, which connects companies with the best possible talent at the most economical cost. She talks about how you can diversify your senior teams through flexible jobs and quality referrals. John Tabis is the Founder and CEO of The Bouqs Company. He says that in E-commerce, you should try not to focus on just selling a product. December 2, 2018: Alicia Syrett is the Founder & CEO of Pantegrion Capital. She addresses what challenges foreign businesses need to overcome in order to gain the interest of U.S. investors. December 2, 2018: Jen Rubio co-founded Away in 2016. Today, it’s a global lifestyle brand designing thoughtful objects to make traveling more seamless. We sit down with her at Shop.org to get her tips on how you can build and promote a brand that your customers will love and want to share with their friends. December 2, 2018: Shopify is the internet’s leading e-commerce website. They are launching a pop up shop in Los Angeles and deciding whose product will be featured in their shop. This week, Elena Castaneda and her niece are pitching her jewelry collection Ayllu. Will the Shopify judges say yes or no to featuring her product in their retail space? December 2, 2018: Kirsten Vangsness plays Penelope Garcia on the CBS hit show "Criminal Minds." In 2016, she opened a gorgeous distillery called Blinking Owl in Santa Ana, California. Her love of whiskey made her a perfect partner with her friends and co-owners Brian and Robin Christenson. Makers of Vodka, Gin and Whiskey, Blinking Owl sources ALL of their ingredients in California. November 18, 2018: How often do you shop small in your community? It’s a question everyone should be thinking about as Small Business Saturday approaches. Here are the top five reasons why you should be spending your dollars locally. November 18, 2018: Creating a better Beloit is the mission of city manager Lori Curtis Luther. She tells us how this Wisconsin community has come together to become a place where old and new businesses can work side by side to create a better downtown shopping experience.